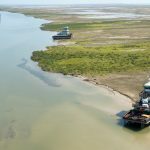 Several vessels are seen aground near Corpus Christi, Texas by a Coast Guard MH-65 Dolphin helicopter crew conducting an overflight, Aug. 31, 2017. 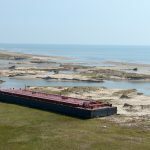 The vessels ran aground as a result of Hurricane Harvey. U.S. Coast Guard photo by Petty Officer 2nd Class Cory J. Mendenhall. 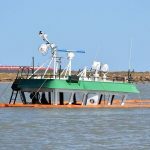 Additional information about the vessels sunk by Hurricane Harvey. 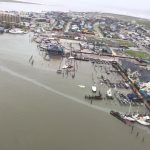 The Coast Guard has released photos of the towboats Sabine Pass, Sandy Point and Belle Chasse which were in Lydia Ann Channel near Port Aransas, Texas when the hurricane struck. 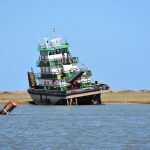 Two vessels, Sabine Pass and Sandy Point, were washed ashore while the Belle Chasse sunk in the Lydia Ann Channel. 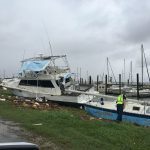 Each towboat had 2 empty barges which broke free during the hurricane. The barges now rest high and dry on the bank near the channel. No reports of injuries as all 11 crew had been safely evacuated. 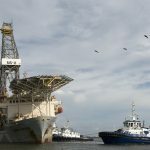 A drill ship rests near the entrance to the Port of Corpus Christi, Aug. 31, 2017, after running aground during Hurricane Harvey. U.S. Coast Guard photo by Petty Officer 2nd Class Cory J. Mendenhall. 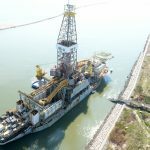 Salvage efforts have been started including refloating the of the drillship Paragon DPDS 1 and other vessels sunk or aground near Port Aransas or Corpus Christi, Texas. 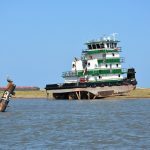 A barge rests near Corpus Christi, Texas, Aug. 31, 2017, after running aground during Hurricane Harvey. U.S. Coast Guard photo by Petty Officer 2nd Class Cory J. Mendenhall. 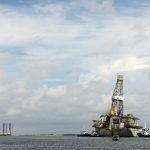 Coast Guard monitors the recovery and transit of the grounded drill ship Paragon DPDS1, Sept. 4, 2017, in the Aransas Pass near Corpus Christi, Texas. 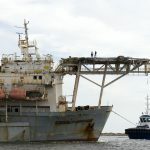 After the Coast Guard approved the salvage plan for the drill ship, the vessel was recovered and towed to Gulf Marine Fabricators in Corpus Christi, Texas. U.S. Coast Guard photo by Petty Officer 2nd Class Cory J. Mendenhall. 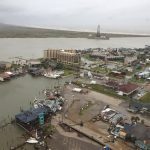 On August 25, Hurricane Harvey made landfall at Rockport, Texas. 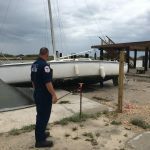 Just a short distance away, the Coast Guard reported several vessels requesting assistance or had become disabled in Port Aransas. 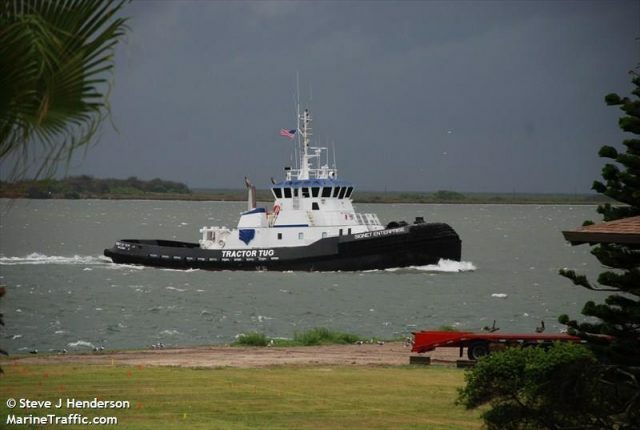 Below is the list of commercial vessels requiring asisstance at Port Aransas. The tugboat Signet Constellation had partially sank and requested assistance. Four crew rescued by the Coast Guard. 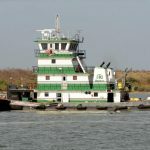 The tugboat Sabine requested assistance. 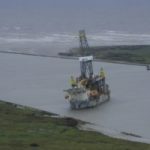 Seven crew were hoisted to safety by Coast Guard helicopters and delivered to a nearby rig near Aransas Pass. 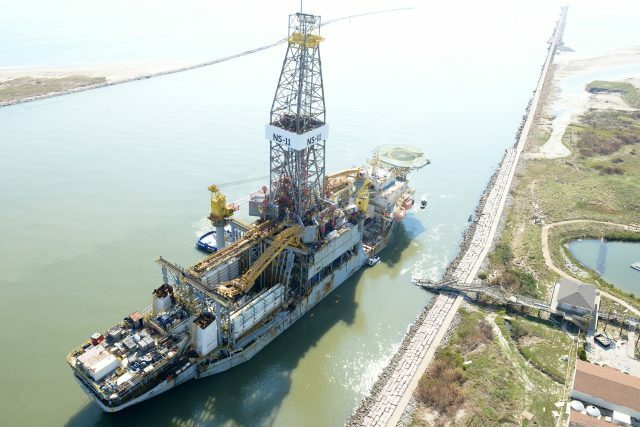 The 149 meter long, 9200 dwt drillship Paragon DPDS I was reported aground at the entrance to Port Aransas. 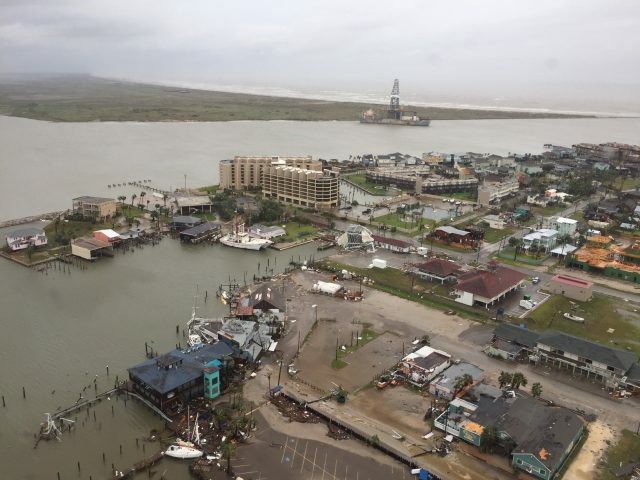 Reports state the vessel had been laid up before the hurricane and had broken its mooring lines and drifted aground. No details if anyone was on board the vessel at the time. 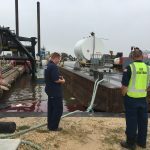 Coast Guard National Strike Force members assess port damage and survey for potential pollution and hazmat in Corpus Christi, Texas, in response to Hurricane Harvey, Saturday, Aug. 27, 2017. 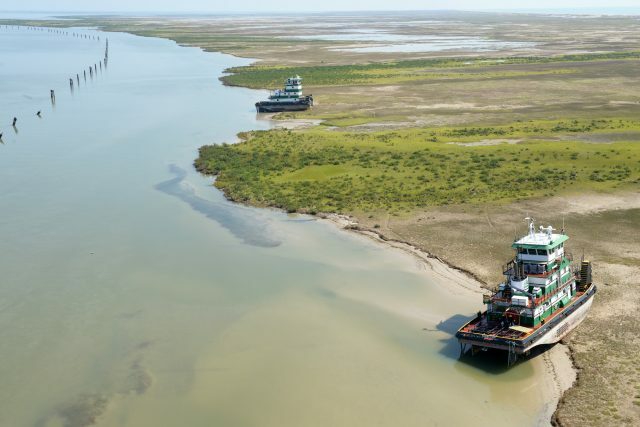 The NSF provides highly trained, experienced personnel and specialized equipment to Coast Guard and other federal agencies to facilitate preparedness for and response to oil and hazardous substance pollution incidents in order to protect public health and the environment. U.S. Coast Guard photo.